Hello all. First time poster, long time creeper. I have an 87 22re 4runner. I've only driven it 100 miles since it broke down on me and left me in shame of my bad purchase, so this will be my first post of many I'm certain. But first issue I want to address, is how to address OBD Code 4. 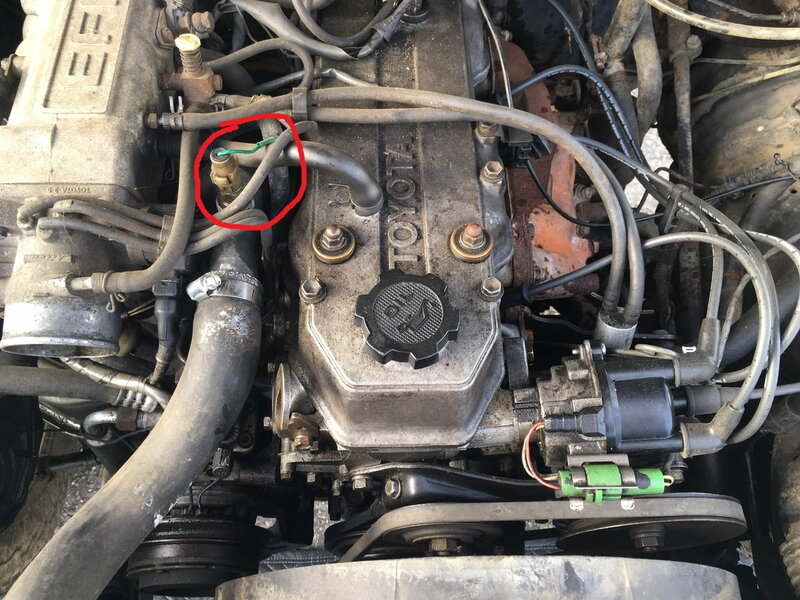 The temp sensor aft of the coolant hose to the intake has a shotty cable, and since removing it I can see it's in bad shape, so I know this needs to be addressed whether it solves the CEL. I assume it's the temp sensor for the gauge, but I've read people say it's for the AC cutoff. The one I have does not look like photos, perhaps it's even the wrong sensor. I know embarrassingly little about this trucks history. But can anybody confirm what sensor this is, whether cooling sensor, gauge sensor, or even possibly AC cutoff? And have they ever seen one look like this? Thanks in advance. On a side note, the truck shut off when taken out of 5th on the highway. Supposedly heads were reworked 500 miles ago, along with new water pump and timing chaing, and distributor in last 50. Since then it's started back up 2 out of many cranks and sounds like something is clanging. She'll turn over sluggishly and I can manually turn the crank. Fuel pump works. Researching all I can do and check prior removing valve cover and main block parts and replacing parts that would not be included in long block. Replacing fuel filter and testing compression this week. This is not the AC cutoff, you can tell by the round housing and because the wire is coming out if the engine harness. The AC cut off comes out of the body harness and has an exposed spade connector. The temp guage sensor is actually located farther back on the intake. Shine a flashlight down beside the cold start injector and you'll see it near the head side. The sensors for the ECU are located below the radiator inlet hose and face the front of the vehicle. Appreciate the reply, that helps to understand what it isn't. From the circle on the engine photo, can you tell me what it is? 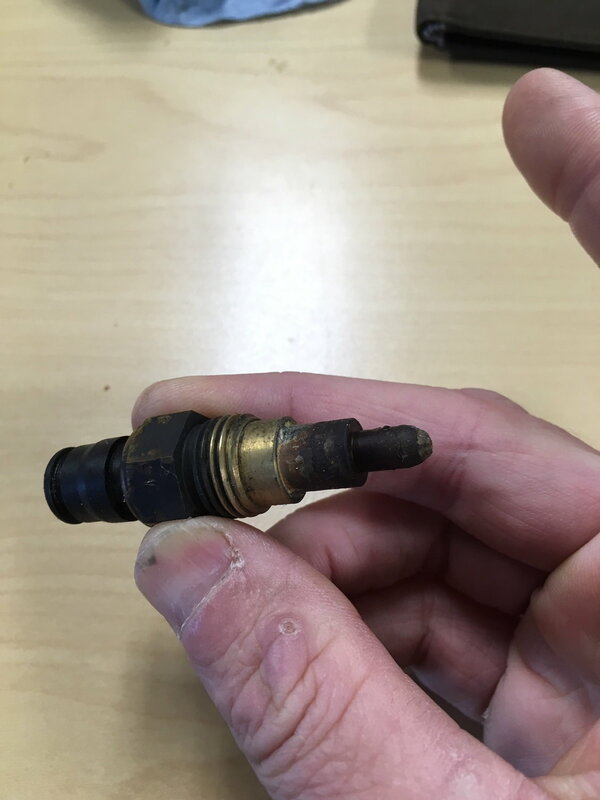 Quick Reply: Temp sensor gauge or sender?